The road turns and twists with the dictates of geomorphology and the driver has to endure spectacular curves. Huge rocks tinged grey by fungal lichens stand guarding the roadside. It is this spectacular grey that makes the untrained eye feel awkward where the sky kisses the mountain under a veil of the wafting mist. Nyanga National Park is situated in one of the most scenic areas of Zimbabwe’s Eastern Highlands. The rolling green hills and perennial rivers transverse the 47 000 hectare park. The altitude of between 1 800 and 2 593 metres provides cool weather and fresh mountain air perfect for rest and relaxation. With its stunning mountainous views, numerous waterfalls, varied activities and unique flora and fauna, Nyanga National Park provides the visitor with an unforgettable holiday experience. Nyangombe and Mutarazi Falls are amazingly spectacular all year round. At Nyangombe Falls, a beautiful series of cascading waterfalls located on the western edge of the park, a 15-minute walk from the car park soothe your soul. 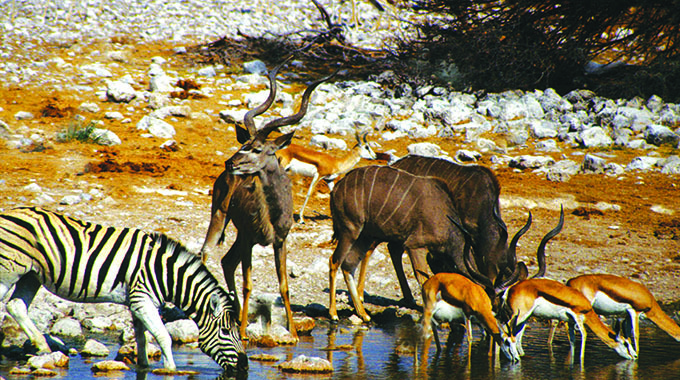 Wildebeest, kudu, zebra, waterbuck, impala, sable and other small mammals can be seen in the park. 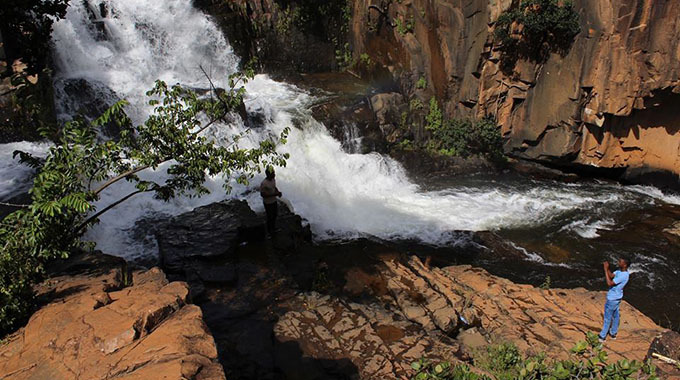 Mutarazi Falls is the highest waterfall in Zimbabwe and the second highest in Africa. Visitors may leave their vehicles at the car park and take a short hike to the edge of the escarpment for spectacular views of the waterfalls and the Honde Valley, some 800 metres below. Mare Dam is located eight kilometres from the park entrance along a good gravel road. Set among a beautiful pine forest, each of the lodges overlooks the scenic dam and this can certainly be a place to be during the long Easter holiday. Rhodes Dam, named after colonial expansionist Cecil John Rhodes, is situated just inside the main entrance. The spacious thatched lodges are set among the pine forest and face a tranquil dam. Lodges at Udu are set in an open area around Udu Dam, with rugged mountainous views and overlooking beautiful flat-topped acacia trees. Cooking facilities are available on wood fires. Ablution and toilet facilities are provided in communal blocks. Tents and camping equipment are not available for hire. Electricity is available at certain caravan sites. At Mare, the camping and caravan site is situated along the Mare River, approximately half a kilometre west of the tourist office. The camp accommodates 40 caravans. 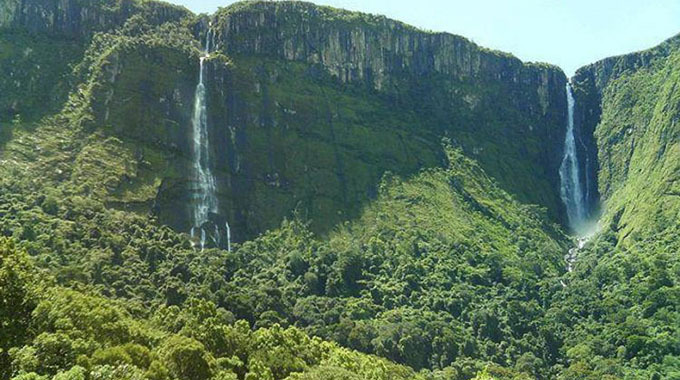 Nyanga cannot be complete without talking of Nyangombe Falls and the campsite. Here, the camping site is situated near the Nyangombe River. Entrance is approximately 3km west of Rhodes Tourist Office on the Nyanga Village Road. The site is well sheltered and has plenty of trees. Zimbabwe’s highest point at 2 593 metres, offers a challenging climb and spectacular views of the surrounding countryside, but it is not for the sick and frail. You can also view the Pungwe Falls from the scenic Pungwe viewpoint or drive through the Pungwe Drift for a closer view of the river and lush forest areas around. Then there is the Nyangwe and Chawomera Forts, where massive stone work with lintelled entrances characterise these fine examples of Nyanga ruins built some 400 years ago. Pit structures are also located within the park. The trout hatchery near Purdon Dam provides an up-close view of the source of game fish stocked in many of the park’s rivers and dams. Located just off the circular drive to Mt Nyangani, Nyamuziwa Falls is a beautiful cascade waterfall with open highland scenery. The Rhodes Museum is found near the park entrance and is housed in part of Cecil John Rhodes’ Nyanga summer home. Fly fishing, boating and swimming are some of the activities you can enjoy in Nyanga.